Cancer, in all its forms, seems to always involve uncontrolled cell growth; but there are thousands of ways in which cells can lose control of their proliferation in the first place. Among a huge variety of proteins known to be altered in tumors are histones, whose normal function is to package DNA and help regulate genes. And according to a new study by Rockefeller scientists, published in Nature, these so-called ‘oncohistones’ are a far more common in cancer than previously thought. 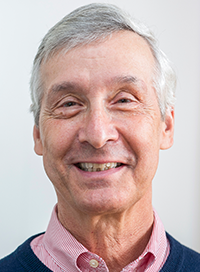 Over the past decade, C. David Allis and others have studied mutated histones linked to select tumor types, including some brain and bone cancers. Building on this work, Allis, the Joy and Jack Fishman Professor, and visiting fellow Benjamin Nacev and colleagues set out to determine whether oncohistones might be present in other cancer types. Nacev, who trains as a medical oncology fellow at Memorial Sloan Kettering Cancer Center, used the hospital’s tumor sequencing database, along with other publicly-available data, to identify the rate of histone mutations in tumors from diverse cancer types. He and his colleagues found oncohistones in approximately four percent of their samples—a much higher percentage than had been previously reported. The researchers also discovered that these mutations affected types and regions of histones that had not been identified in past studies, leading them to propose new, testable hypotheses as to how histone mutations affect DNA expression. “These studies reinforce an emerging view that many parts of histone proteins, when mutated, may contribute to tumor growth in ways that remain to be determined,” says Allis. Allis has received the March of Dimes Prize in Developmental Biology. The award, given to investigators whose research offers hope for the prevention and treatment of birth defects and other infant diseases, honors Allis for his groundbreaking work on gene regulation.